There are no solved problems listed on our records for this printer. To submit a problem or give a solution for an unsolved problem, please see the list on the right. There are no unsolved problems listed on our records for this printer. To submit a problem or give a solution for an unsolved problem, please see the section below. All problems on this page have been submitted and answered by users. If you have a problem with the Konica Minolta Magicolor 7450II, please submit it below and we'll post it here. If you are having problems with an older (> 18 months) printer, you may want to check the prices of newer printers (use Google on the right) before you think about paying for repairs. 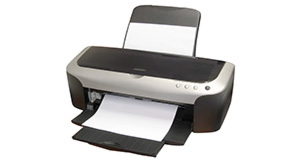 Make sure you check the price of ink before you buy a printer - often when a printer is very cheap, the price of ink is high and you may end up paying more in the long run. Choose a printer from the left-hand menu ("Find a Printer") and the "Printer Profile" (above) will show you the ink cartridges / toner it uses - then search for this ink in Google on the right to get an up-to-date idea of how much it costs. This could save you a lot of money in the long-run. Solutions suggested on this site are for informational purposes only; we accept no responsibility for any damage caused to your printer as a result of following the advice shown here.